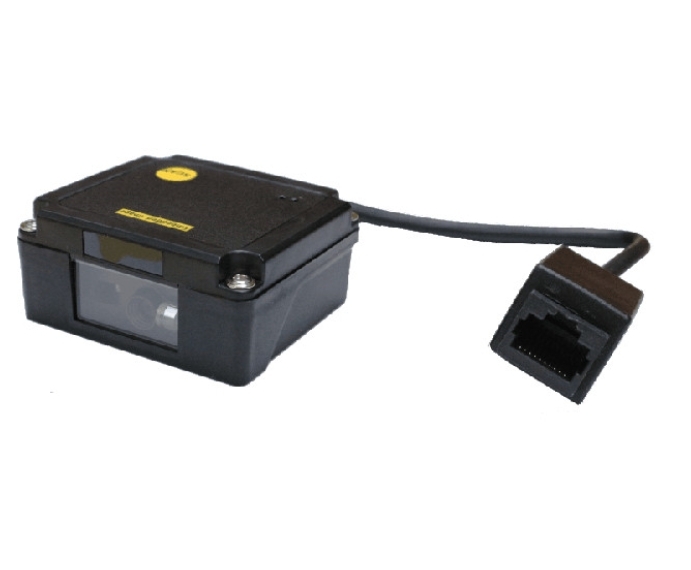 The FS-500 is an compact and lightweight linear CCD scanning module which offers superior 1D & 2D barcode scanning. Idea for OEM application from various kiosk solution to point of sales (POS) which is limited counter space requirement. The clear aiming frame enables users to visually see the area that is to be captured. The centre decoding setting utility which allow images are appropriately lit to enable accurate capture. Enable you to bring your systems to market quickly and cost effectively. Sensor detection wake up function to minimized operator fatigue by providing hands-free presentation scanning. The FS-500 design is light enough to be held in the palm and scanning by triggered on if any external application required. The compact size has been done to simplify the integration of FS-500 and allows it be mounted anywhere. Linear CCD fixed mount scanner which offers superior 1D and 2D barcode scanning. Lightweight and compact design is flexible for external application requirement. Easily integrated with various OEM application like kiosk, EPOS, ATM, ticket machine, vending machine etc.. for scanning 1D and 2D barcode.